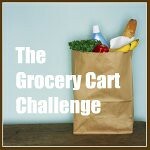 The Grocery Cart Challenge: GCC Shopping Round Up - FREE STUFF! GCC Shopping Round Up - FREE STUFF! I was so pleased to find that I had arrived at my favorite liquidator to see that their produce truck had just finished unloading fresh goods. That was also the clue to check by their back freight door to see what they might have cleared out of their bins and put outside for the pickers like me. Many times grocery stores will take the produce that might not look fresh anymore and set it out by a back door for people to pick through before it goes into the garbage. Most fruit and vegetables sell when they are pre-ripened. So when it starts to look ripe or less than perfect they can't sell it anymore. What I ended up with was 30 lbs of potatoes, 21 Roma tomatoes, 2 heads of cabbage, and 3 heads of broccoli. So this week I'll be letting you in on some secrets for using up produce that has a very short shelf life. Grand Total $70.56 A little over but not bad. Please include a link back to The Grocery Cart Challenge from your post. $3.88 for 5 dozen eggs??? I think I read that about 5 times just to see if I was reading it right!! I spend around $10 for 5 dozen eggs and that is from a big, cheap warehouse store!! I can't even get 2 dozen eggs for that price - it costs about $2.30 if you buy a dozen at a time! Boy am I envious of American deals!! The cheapest I can usually find them here is about almost $4/dozen, unless I go to my parents- they are free there! I guess that is the price I pay for living off the beaten path- most things are a little more expensive and there is less competition among stores, as well as no big wholesalers. I am in awe of you, as usual! Do you have big Lots there? I have been going to Big Lots for random deals, they have awesome snack foods, and they have canned goods too, I'm quite surprised by what I find there. I noticed there isn't any paper goods on your shopping trips. What do you do for them? Do you have any tricks for saving on paper goods? Is there a cheap source of toilet paper? Can't live without it! if I had all those free potatoes and tomatoes, I'd be making lots of baked potatoes and fresh salsa. yum! The stores here donate all their produce they won't sell to the local food pantry, so there are never any free deals for me - believe me, I've asked the produce managers!! Our eggs are about that price here - I got them today for $.69 a dozen, which is an awesome deal! FREE FOOD? FREE FOOD? It doesn't get any cheaper than free!!! Our eggs are around 88 cents right now. I'm just waitin' for my hens to start laying! How do you find out about the free produce?! That is amazing! Ask. Just find someone that works in the produce department and ask what they do with the less than desirable stuff. 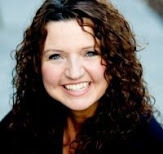 Smaller stores are usually best because the larger stores usually donate it to charity.